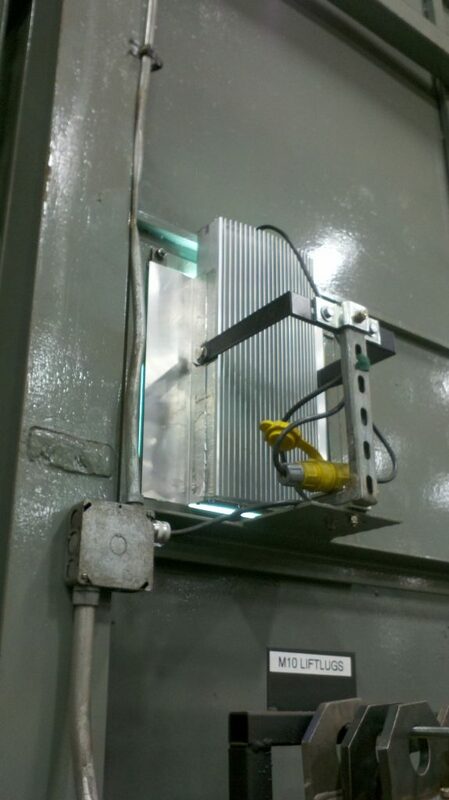 Hard working industrial LED fixtures – Lights Go! These industrial fixtures light up a sandblasting machine from the outside. There were six high-pressure sodium lights making a gloomy yellow lights, but now the operators love the white light from this LED fixture. Previous PostPrevious LED Filament Lamps from Lights Go! Lights Go Inc. offers LED lighting for commercial, retail, hospitality and residential uses.